5000W (41.7/20.8A) for 10 sec. 41.1" x 27.8" x 30.4"
Powers your fridge, furnace, lights, TV, and much more. 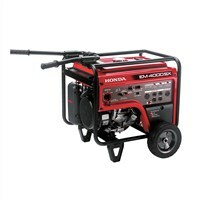 : The EM4000S can power a wide variety of appliances in your home. Check the applications tab for more examples. 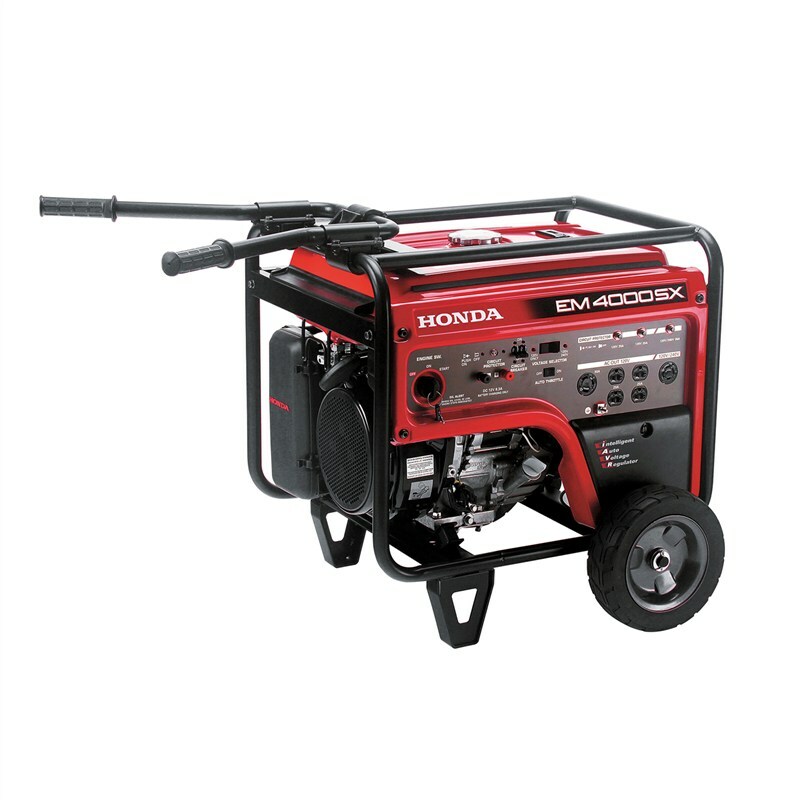 Provides 5,000 watts for 10 sec to start larger equipment: Honda exclusive iAVR technology lets the generator operate well above its maximum rating for up to 10 seconds to start high initial amp draw equipment.